Get a break from the day-to-day grind in a kid-free environment with all the features and services designed specifically for a grown-up getaway, whether it be a romantic getaway or a trip with friends. No matter what you’re looking for—beach or volcano, adventure or relaxation—these hotels have it. This eclectic group of adults only hotels & resorts in Costa Rica is ideal for couples that are looking to vacation in a sophisticated atmosphere. Here you and your partner will find something to fit your ideal romantic getaway. Hotel design and staff provide an intimate atmosphere by focusing on guest privacy and experience. All of these adult-only hotels have under 30 rooms, and most have much fewer. This allows them to focus on providing excellent, individualized service to their guests. For couples, this may mean a romantic private dinner or a sensual couple’s massage. Staff will be happy to arrange something special for you and your partner. 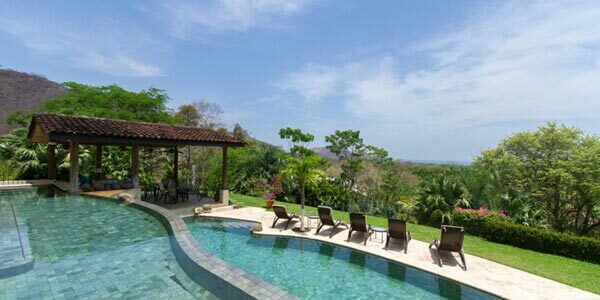 Disconnect in the jungle at the Pacuare Lodge or enjoy the Manuel Antonio nightlife while staying at La Mansion Inn. Get to know other guests at the swim-up bar or snuggle up in your own private plunge pool nestled in the jungle. These thoughtfully designed hotels allow you to be as social or private as you wish. If adventure is more your style, arrange to go flying through the trees while zip-lining. Take an exhilarating ride down some rapids while white water rafting. Learn how to hang-ten with a surf instructor. Explore the world under the waves with your honey on a snorkel tour, or even get PADI-certified and go scuba diving! Costa Rica offers all types of adventures, big and small, whatever your style! All our adult-only resorts implement a minimum age policy ranging from 12 to 16 years old. This guarantees you can have an exceptional getaway without small children distracting from the stellar surroundings and enchanting ambiance. 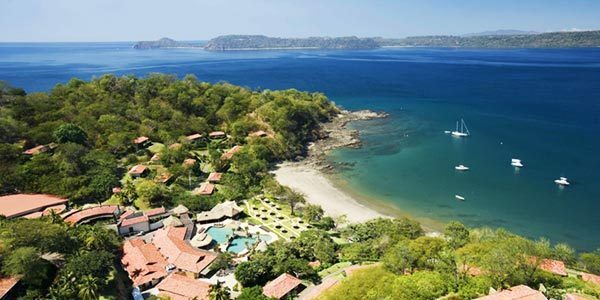 You may also like to check out Costa Rica’s Luxury Resorts and Five-Star Hotels. Many have adult-only sections and they offer plenty of amenities. Planning your honeymoon or anniversary in Costa Rica will make it extra special. There is nothing more romantic that a couple-focused, luxury vacation to paradise. Create life-long memories in the peaceful atmosphere while you and your partner celebrate your love. If you want to hear more about Honeymooning in Costa Rica, watch our Secrets of Honeymoons in Costa Rica Webinar. Travel Consultant Lisa Cederberg shares her top tips, along with hotels’ special features and some unique experiences you honeymooners won’t want to miss out on. Stay at boutique hotels – these smaller hotels have fewer rooms so you’ll get more personalized service. Ask the staff for their tips on discovering all that Costa Rica has to offer.